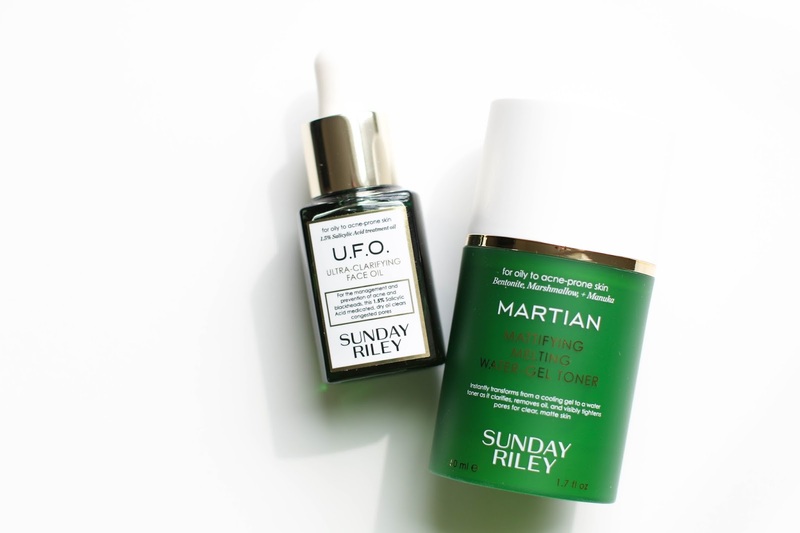 At first my appreciation for Sunday Riley products began as a fondness, but now I am a full on Sunday Riley convert and LOVER. Each and every product I try from her is better than the last and while I know there are mixed reviews on every new launch she puts out, all of them have consistently worked for my skin. Including her newest one - the U.F.O. Clarifying Oil and Martian Mattifying Melting Water-Gel Toner. 1. Sunday Riley U.F.O. Ultra Clarifying Face Oil - After first falling in love with this oil from Sunday Riley and then experiencing the magic that is this one, I wasn't sure she could make one that would impress me even more. BUT SHE DID. As someone that suffers from breakouts and stubborn acne on the occasion, I was immediately drawn to this U.F.O. oil because it contains salicylic acid (which my skin responds very well to) and has clarifying properties. I prefer using it at night either alone or with a light hydrating moisturizer on top (currently liking this one and this one). Initially I began applying the oil every other night just to ensure my skin could handle it and wouldn't flake up, become irritated or have any other unforeseen issues arise. Once I began to see that my skin could tolerate it, I moved to every night. Every now and then my forehead will begin to break out in tiny little bumps and within a few days of using this - they were gone. Though this is an oil, it is one of the least oiliest ones in my collection. It soaks into my skin immediately, leaving my skin hydrated and fresh looking rather than greasy and shiny. And when I wake up the next morning - my pores appear smaller, there is little to no shine on my face and breakouts are minimized, if not gone completely. Like with any new product, I would recommend either getting a sample if you can or testing on a small patch of the face for a few days to ensure you don't have any adverse reactions. 2. 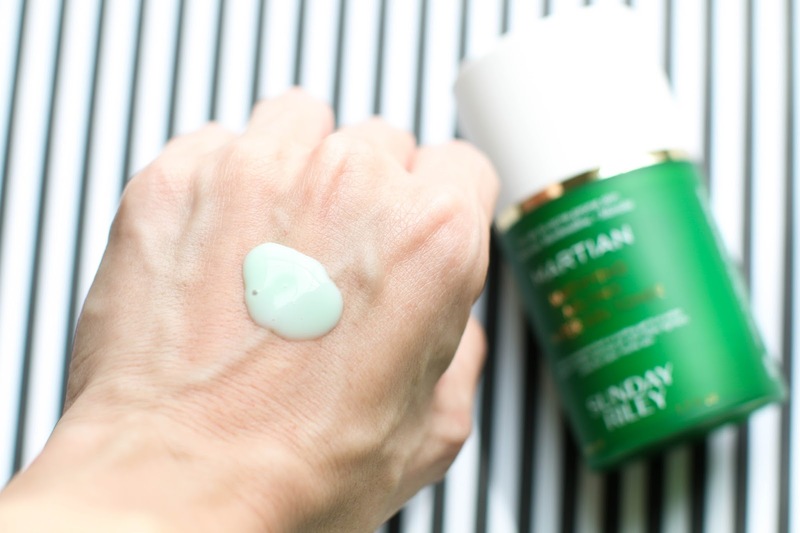 Martian Mattifying Melting Water Gel Toner - I wasn't sure what to think of this toner when I first saw it's texture. I am used to toners being more of a clear watery liquid, so I sat with this on my hand for a minute or so just looking at it. However when I massaged it in, it instantly transformed into a water and felt amazing on the skin. I prefer using this in the morning rather than at night because it helps mattify my skin and leaves it smooth and even so that my makeup is easily applied on top. 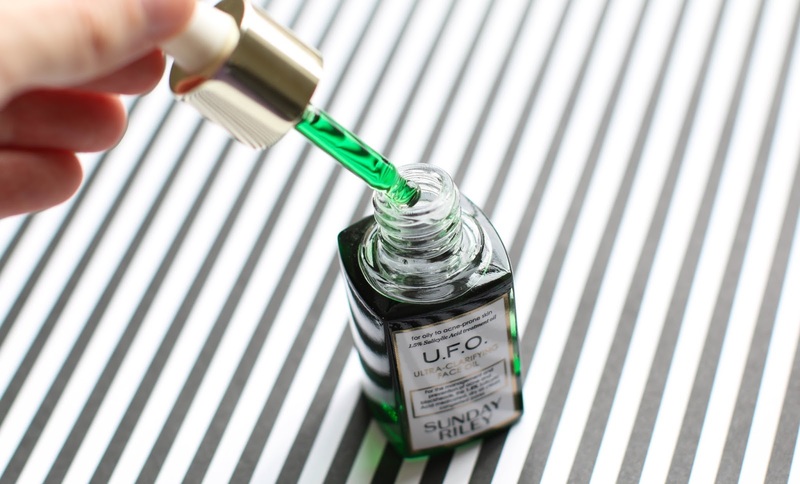 After cleansing, I apply the Martian toner, an essence if my skin is feeling extra dehyrated and then follow with my serum and moisturizer (currently using this and this in the morning). I noticed how much less shiny my skin was throughout the entire day and as a result, I was able to wear a more glowy makeup on days that I use this toner! While this toner is designed for all skin types, I feel that it would be most effective with more oily skin types - though I always suggest getting a sample if you are interested in trying. I would love to hear your thoughts on either of these new launches! Have any of you tried and loved (or not loved)? Let me know! Hi, I like your blog. :) may I know are u still using the U.F.O? how is it going after few months? I finished the bottle so I don't use it anymore, but I didn't repurchase it because I don't break out as frequently now.